Proclamation of the Republic is celebrated in Latvia on November 18. This public holiday is also known as Independence Day, since its marks the beginning of a new era in the life of the country. Latvia declared independence from the Russian Empire after the end of World War I, that devastated much part of its territory. The People’s Council of Latvia proclaimed the declaration in Riga on November 18, 1918. Kārlis Ulmanis became the head of the provisional government. Latvia enjoyed independence only till 1940, when its territory was occupied by the Red Army. After the defeat of Germany in World War II, the territory of Latvia was incorporated into the Soviet Union. The Soviet era lasted in Latvia till 1991, when the Soviet Union collapsed. 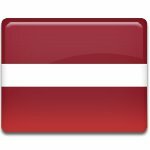 Latvia regained its independence on August 21, 1991. Although Latvia gained it's full independence only in 1991, people celebrate Independence Day on November 18. Many festive events are organized to celebrate Proclamation of the Republic. People enjoy parades and other street activities, that take place throughout the country.